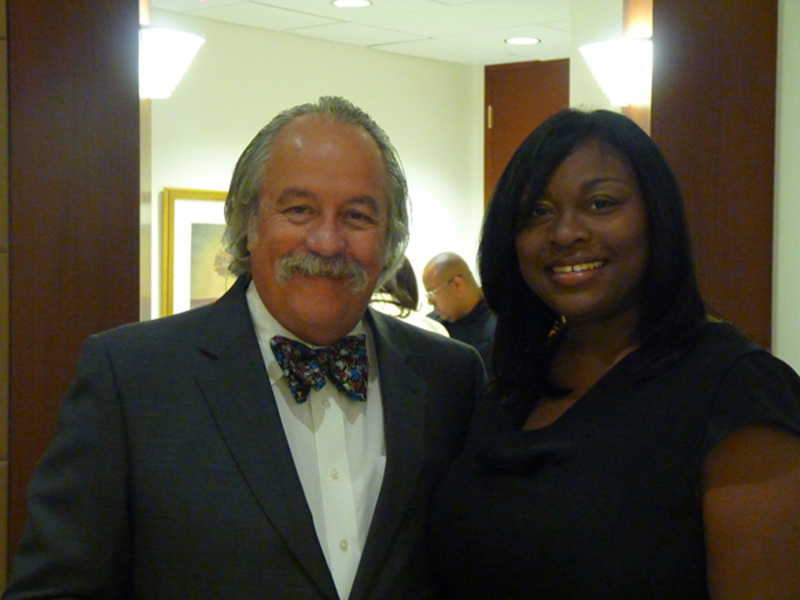 As a student at the University of Miami School of Law, Quinshawna Landon seized her opportunity to take part in a special minority mentoring program organized by John W. Kozyak, founding partner of the Miami firm Kozyak Tropin & Throckmorton, PA. 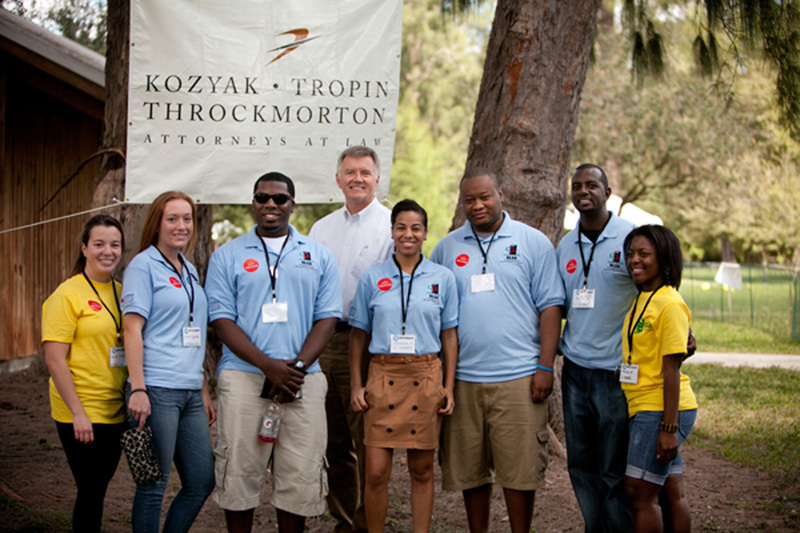 Through his foundation and the support of thousands of judges, lawyers, law school administrators and guests, Kozyak hosts an annual Minority Mentoring Picnic for students from every law school in Florida. In fact, Weinkle remembers his mentee, who graduated from law school in May. “I have lots of emails still from those days, and it was a great experience,” says Weinkle who has mentored five students since 2009. Soon after the firm was up and running, Kozyak began helping black law students with scholarships and contributions to the University of Miami School of Law’s Litigation Skills Program. In keeping with that philosophy, Kozyak became a mentor as well. For the past 15 years, the attorneys at the firm have been actively involved in mentoring black students from the law schools at the University of Miami, St. Thomas University and Florida International University. Nine years ago, Kozyak and Detra Shaw-Wilder, a partner at the firm, decided to host a picnic that would give black law students in South Florida an opportunity to connect with potential mentors, get career advice and network with their peers. 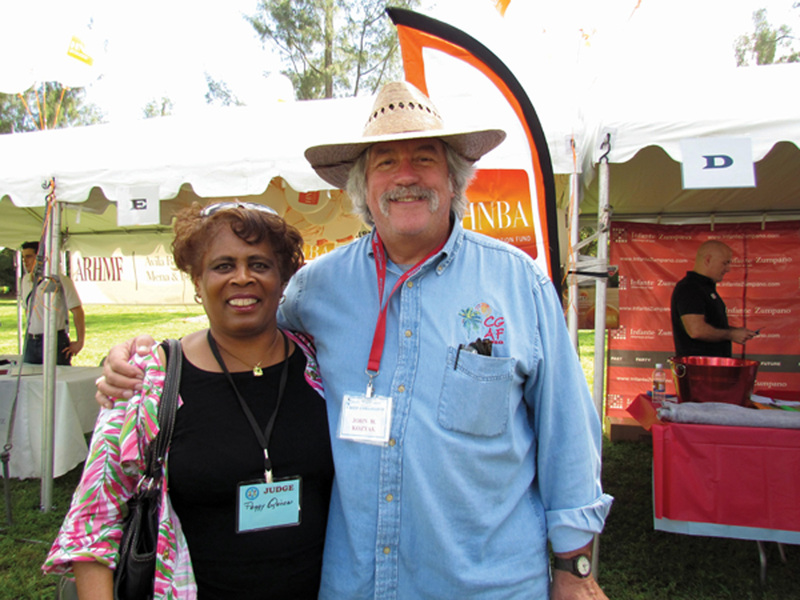 About 200 people turned out for the first picnic, but thanks largely to word-of-mouth referrals, the event attracted more than 1,000 participants in its second year. Last year, attendance surpassed 3,500 as the minority mentoring picnic expanded to cover all minorities, including Hispanics, Muslims, Asian-Americans, as well as gays, lesbians and students with disabilities. Law firms from throughout the region participated and hosted a variety of activities. For instance, Berger Singerman sponsored a volleyball tournament for the law students. This year the Kozyak Minority Mentoring Foundation will be hosting its 9th Annual Minority Mentoring Picnic on Saturday, November 10 at Amelia Earhart Park in Hialeah. Lead sponsors include GreenbergTraurig, BNY Mellon Wealth Management, Sabadell United Bank, Berger Singerman and Gunster among others. The picnic is also supported by the Dade, Broward and Palm Beach Bar Associations, as well as many other South Florida legal associations. Students can walk around, talk to others, and establish a mentor-mentee relationship, while sampling a wide array of ethnic foods. They can also visit tents set up by groups like the Cuban American Bar Association and the National Hispanic Bar Association. Students can also fill in applications and be matched with a mentor after the picnic. Kozyak says most minority students are first-generation college graduates who are wondering about what classes to take or legal specialty to pursue. “Other students want some advice about living in South Florida and being away from home,” he added. √ Don’t take shortcuts. It takes time to become a skilled attorney. √ Start cultivating your reputation now while you are in law school, and make sure your classmates respect you. √ Be prepared to work hard in law school. Go to every class and take advantage of special programs. √ Start building your network in school. Your classmates will one day be your peers in the legal profession. In 2006, John Kozyak received the Florida Bar President’s Pro Bono Service Award and the Florida Bar’s highest award for humanitarianism, The G. Kirk Haas Humanitarian Award. In 2007, he received the ABA’s “Spirit of Excellence” award for his work in diversity. Kozyak was honored by the Anti-Defamation League with its 2010 Jurisprudence Award for his contributions to the legal profession and to the community at large, and in 2011, he received the Florida Bar’s Henry Latimer Diversity Award.